NSA leaker Edward J. Snowden plans to break his silence after spending nearly three weeks in legal limbo at Moscow’s Sheremetyevo Airport, The New York Times reports. 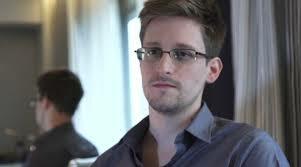 Airport officials said Snowden plans to meet with international human rights groups Friday. The rights workers will be escorted through security and into the transit zone to meet with Snowden, The Times reported. Snowden reportedly sent an email to several rights organizations asking them to come to the airport. Snowden revealed widespread phone and email surveillance by the U.S. government. Posted: 7/12/13 at 9:02 AM under FBI, News Story.